Dad – Fred Shearer – took this through the window to get everyone in – you can make his reflection out if you look carefully. 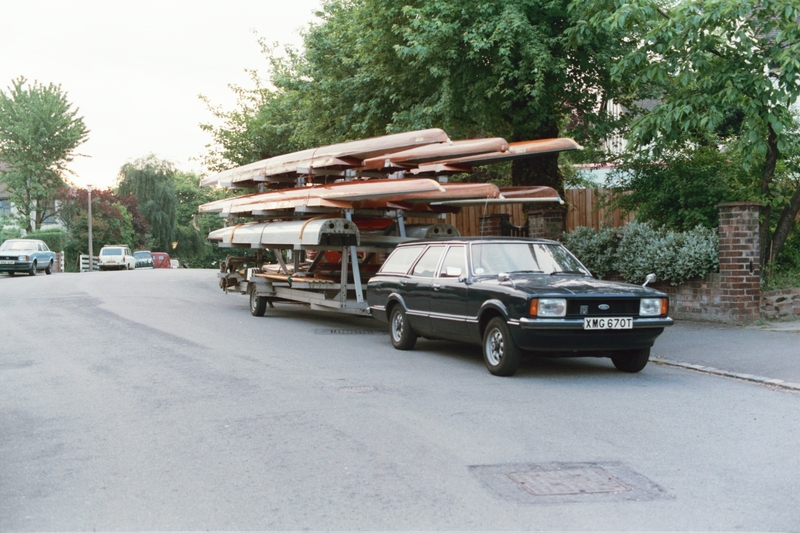 A couple of contemporary shots from the same Roll – The Ford Cortina with a trailer of Lea Rowing Club boats. 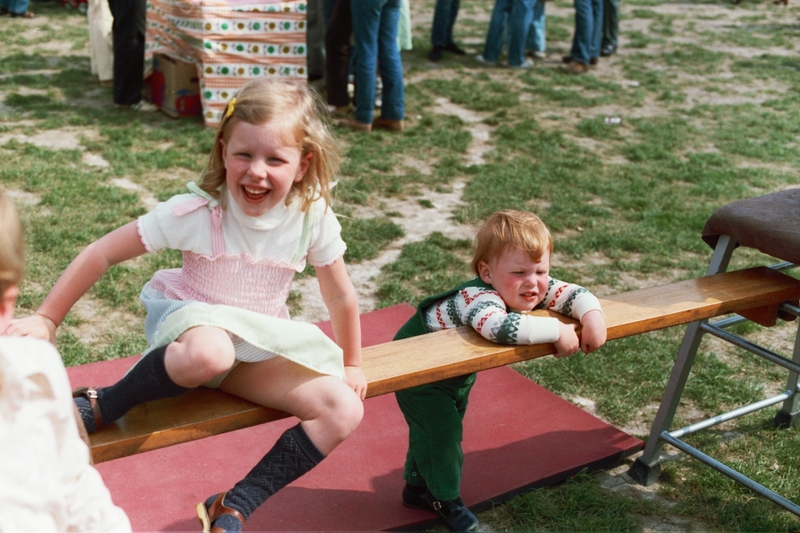 And a great shot of Ed Shearer and Amy Shearer at some kind of Wells Primary School event.